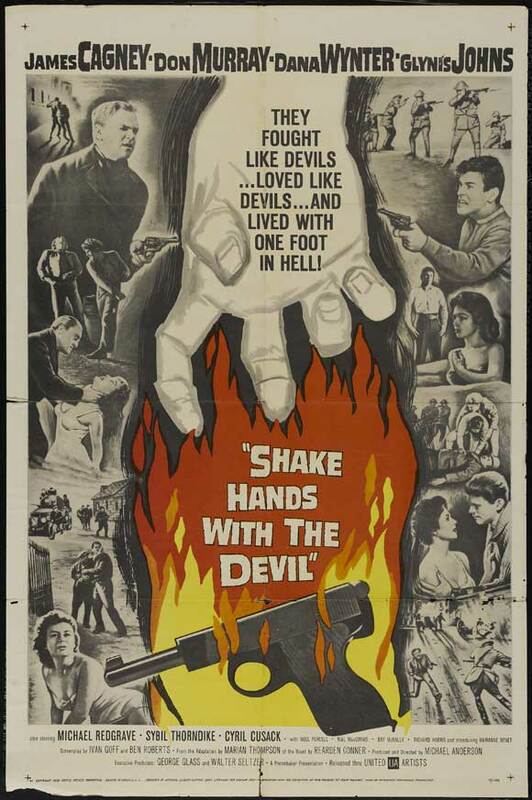 Shake Hands With The Devil (1959) | Come Here To Me! « Is it over yet? Hiding out in the Coliseum Theatre, 1916. ‘Shake Hands With The Devil’, released in 1959, is a film set during the Irish War of Independence and filmed here in Dublin. It was directed by the English film director Michael Anderson, and at the time of its release it received quite a lot of media attention owing to the fact it was banned by Belfast authorities, with one northern politician jokingly asking if it was banned because it’s title could be mistaking for ‘Shake Hands With Dev’! The film is worth watching for some great historic shots of Dublin. The plot essentially revolves around an American medical student, Kerry O’Shea (played by Don Murray) who is drawn into the IRA campaign.In the opening stages of the film, from 1:45 onwards, as the narrator that tells us “often in its turbulent history, the men of Ireland had risen to fight for their freedom – only to be crushed”, we see brilliant shots of Glasnevin Cemetery, including from the top of Daniel O’Connell’s roundtower. 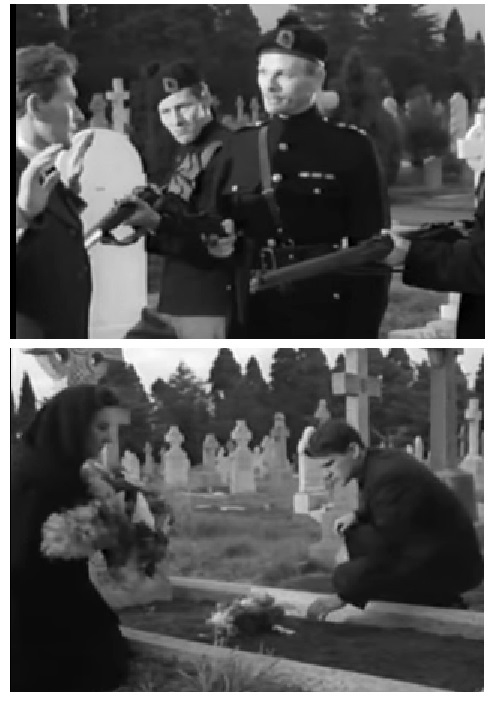 IRA men are seen carrying out a fake funeral in the cemetery for a casket loaded with riffles, while Black and Tans burst onto the screen in pursuit. Trinity College Dublin plays the part of the Royal College of Surgeons in the following scene of the film, while from 9.30 on the inside of a Dublin pub is shown, though I’m unable to identify it. Black and Tans enter the premises and interrogate locals. 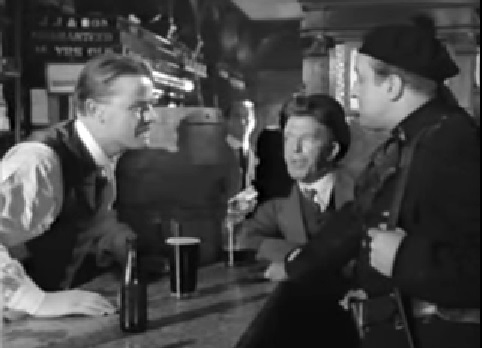 A Black and Tan enters a Dublin public house. My thanks to Paddy Gifford for bringing my attention to this film. An action scene / gun fight was filmed on North Wall Quay in the old ferry station and there’s some good shots of the sheds , cranes and the surrounding streets (at approx 1:36 minutes ). I first saw this film on Paddys Night sometime in the early 1990’s in the Academy Cinema on Pearse St , when for a short while they showed classics there. Shake Hands with the Devil-Sinn Fein councillor Christy Burke.